About a couple of months back I received an email notification from romwe that they have included the cosmetics range into the website. I jumped into a chance and ordered two palettes to find out if these are worth trying. Both are Concealer Palettes. I ordered 12 piece makeup brushes set along two concealer palettes. I'm already impressed and amazed with the romwe service and quality. I had a huge expectation about the quality of the palette and the brushes. Its no doubt a great increase in romwe collection. 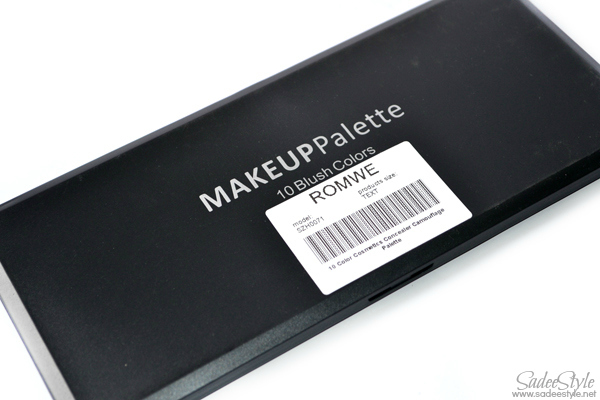 You might have seen these concealer palettes in other big brands like Bh and CS, let me explain you first that these palette are made in same factory then later companies/brands put their own brand logo on and increase the price as much as they want to although romwe also placed their brand sticker on, but surprisingly has not increased the prices. 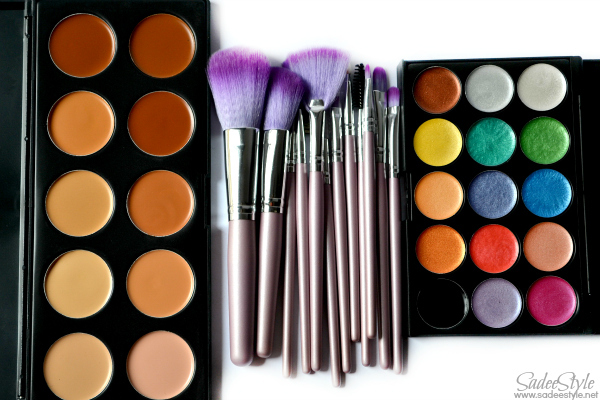 If you are into makeup and familiar with makeup technicians, you must be knowing the importance of multicolour concealers. 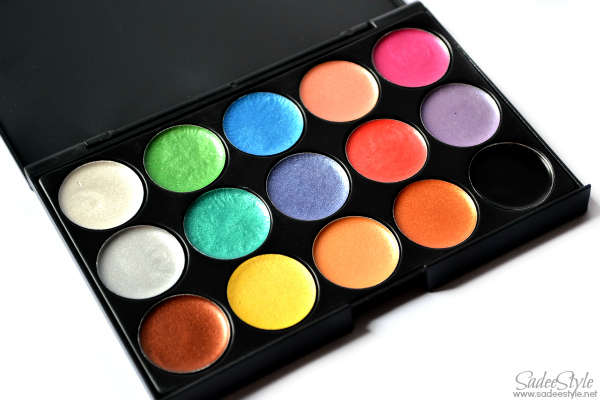 This palette includes an extensive range of 15 multiple vibrant shimmer colours. 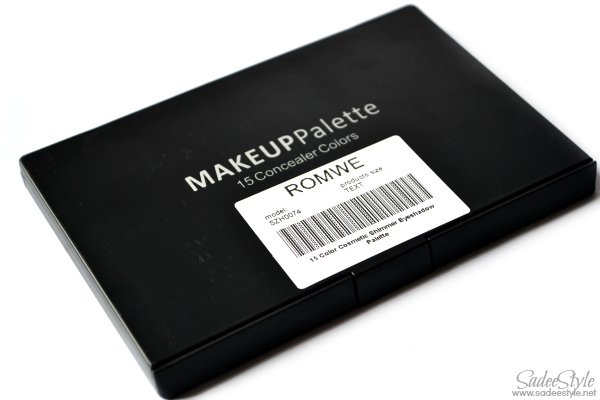 These actually are cream concealers, but romwe describe it as a shimmer eyeshadows. I feel these could be used for both purpose because the colour have a shimmer effect which would work well as an eyeshadows. All colours are very wearable, soft and delicate with silky glossy finish. I really like the shimmery cream shades very beautiful in pigmentation and can create multiple amazing looks for different occasions. 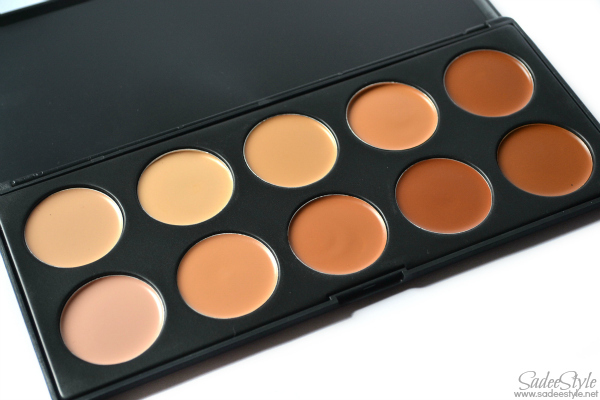 10 Colour Cosmetics Concealer Camouflage Makeup Palette. Includes an extensive range of 10 multiple vibrant concealer colours with different skin tones. Super fine cream concealers leading the trend colours and can create multiple amazing looks. It's surprisingly high quality palette and almost have around 10 multiple concealer colour match all skin tones. I like how light these feel on skin, very soft and delicate with silky glossy colour. They included the ten amazing multicolour concealers they could be use to fix blemishes, wrinkle, scars and black circles. The light colour is suitable for redness, acne and so on. The medium colour is perfect for dark shadows in the under-eye area. The dark colour provides exceptional camouflage and adheres well to the skin.With natural, gentle and nourishing formula, easy to apply and maintain for long time. Perfect for professional salon, wedding, party and home use. I really had a high hopes with this set I ordered these brushes for my friend. 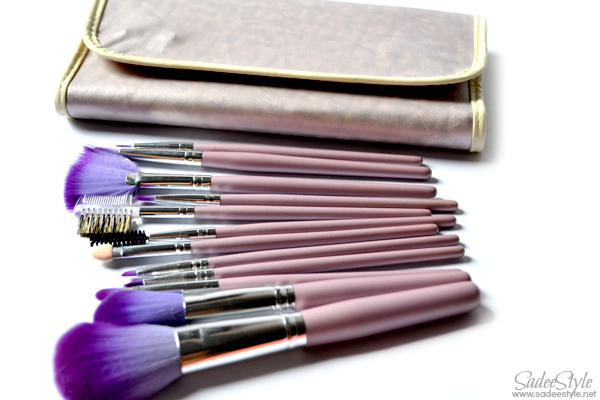 This beautiful set comes up with twelve high quality brushes with leather brushes roll which look so feminine and handy. I immediately like the quality when I opened the roll. 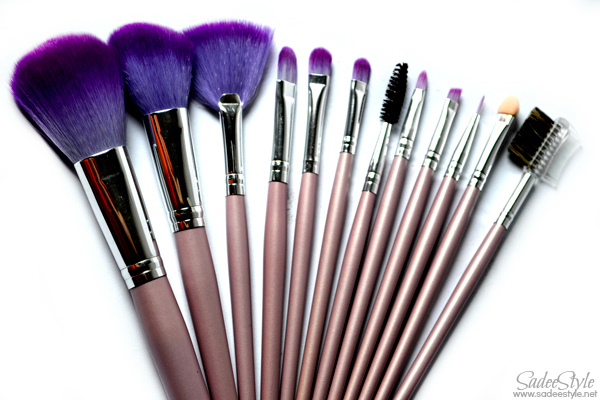 All brushes are extremely soft and high quality. There is sturdy, strong handles with high quality synthetic hairs those work smooth on skin without starching. There are around two face brushes in the set, one is a big head brush with super soft bristle those don't really shed follow by the face angel brush that also a very soft and smooth. The fan brush is unique and very effective to dust off excess powder after mineral makeup application and prevent cakey makeup look. The rest three brushes are made to apply eyeshadows those i would say are best for cream eyeshadows. Set also included one eyeshadow sponge brush follow by eyeliner and angled brush. It included a lipstick brush and one eyebrow and eye lashes brush. 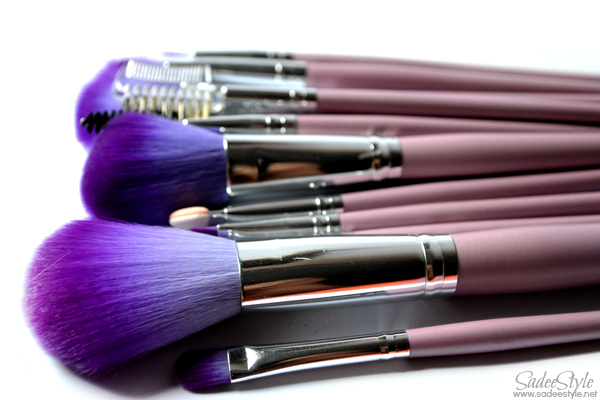 It hase each and every brush that we need to make a makeup look. I've been shopping from rowme from the last 2 years romwe never disappoint me and this time I'm very glad to see the makeup tools and cosmetics range on the website in very affordable price and surprisingly they offer free worldwide shipping and I'm noticing the improvement in shipping method too. I got my package within 7 days. now I have been an eye on up coming makeup kits. I would defiantly update you with my experience. Nice!!! I am thrilled about the concealer palette. Thanks for the detailed review! Nice post, makeup brushes are great! I'm your new follower #1742. Hope you'll follow me back! Lovely blog, I am a new follower! Znx for following hun, followed u back as Ivana, no picture in the end of list! Thanks for sharing your experience..I will definitely try them out! they look great! Specially the coloured one! they're great! Awesome! Thanks for the post, always helpful! I love the shades in both palettes, especially the consilers. I ordered myself a brush set too!!! Hope they are of good quality as this one ♥ the concealer palette is great!